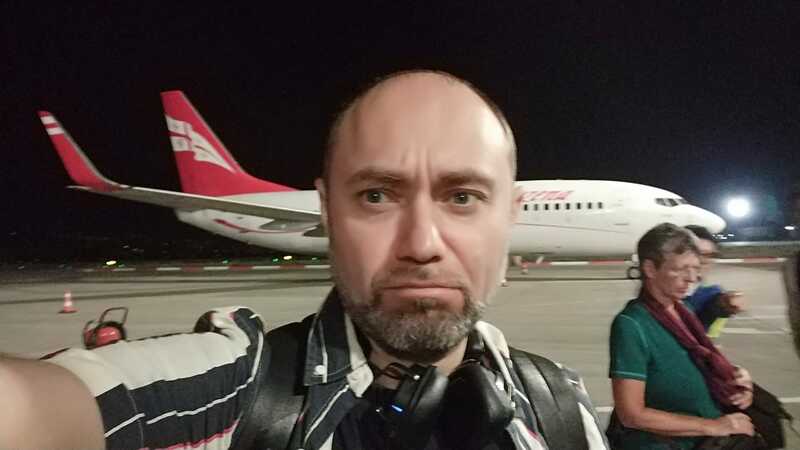 Roman Udot, a Russian human rights activist and member of the Council of the Movement for the Protection of Votersэ Rights, was denied entry to Ukraine. This human rights activist said on Facebook. "We were not allowed to go to Kyiv, the reason is not clear, the documents disappeared in an unknown direction. They took us to departure zone forcing to leave luggage in some unguarded and open space along the way, "he wrote. On the video, also published on his page, Udot specified that he was denied entry due to the fact that he did not name the reason for the visit. At the same time, he stressed that he called the "tourism reason". According to the human rights activist, he flew from Tbilisi to Vilnius, and in Kyiv a long-term transfer was planned, during which he was going to enter the city. As a result, Udot specified, he intends to go back to Tbilisi. Press Secretary of the State Border Service of Ukraine Oleh Slobodyan said that Roman Udot was not allowed to enter the territory of Ukraine, because he "did not provide convincing evidence of the need for this." Slobodyan also said that Udot was not denied of entry to Ukraine.